It's a fun tool to use. You can change the width and color of the grid lines between the photos and then save the completed collage as a jpeg on your computer. Post your collages here! And it doesn't matter how many paintings you completed. Create a collage to show off the paintings you created this month. Thanks for joining me this month. Happy painting! Painting ahead is a good thing (which means I am done!) so now I can concentrate on family for the rest of the week. 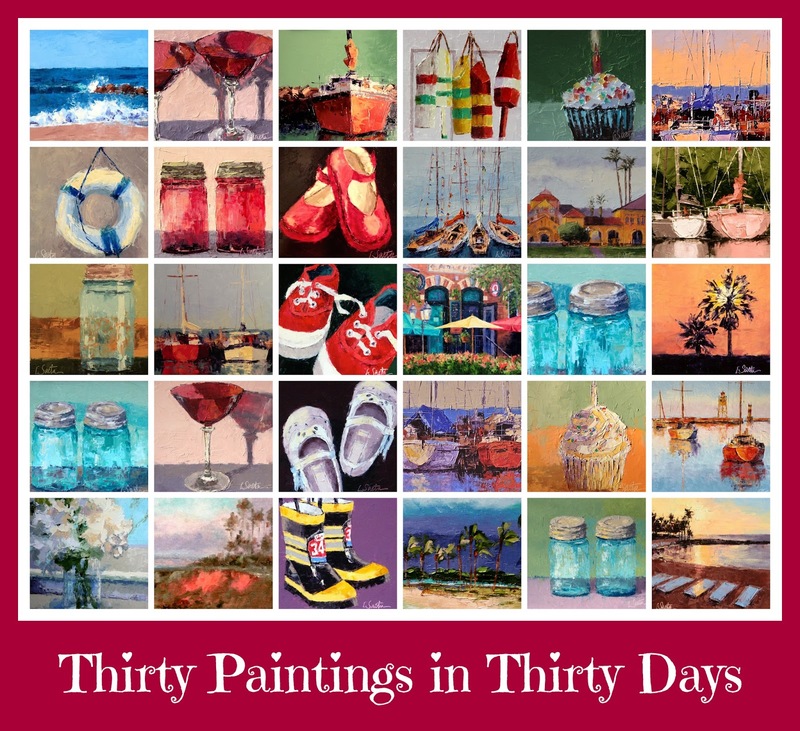 Don't forget to listen to the Artists Helping Artists show on Thursday at 8:00 am PST, 11:00 EST as I will be sharing many of YOUR experiences with the 30 in 30 Paintings Challenge. There are some really eye-opening stories! Click here for the link to the show. There is only one painting day left in the Challenge so paint something fun and enjoy yourselves! You deserve it!